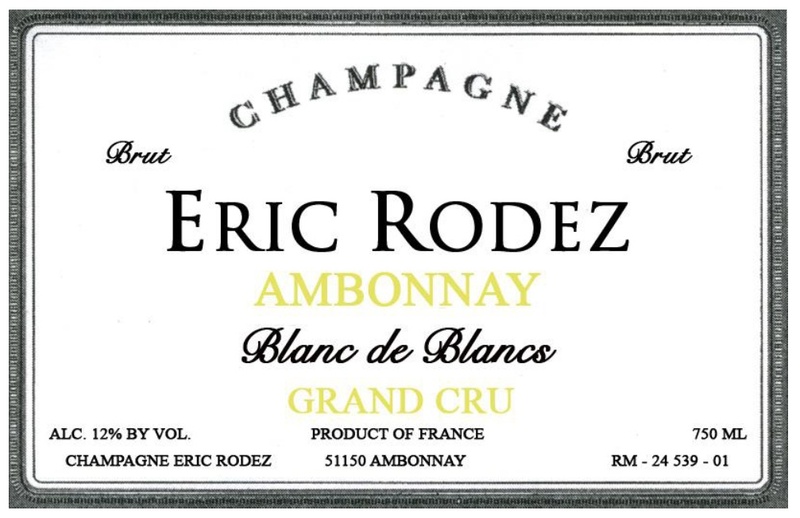 Eric Rodez is not only a Champagne producer but also the mayor of Ambonnay (2008-2014), renowned grand cru village in the Montagne de Reims. Eric has 9 hectares of Pinot Noir planted along the south and southeastern facing slopes of the village. Also along the southeastern slopes, where the soil is a bit lighter and finer, are 7 hectares of Rodez Chardonnay. 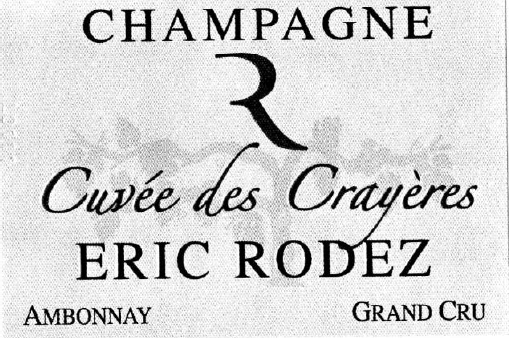 The Rodez family has been producing their Champagne for generations, not simply selling their grapes to large houses. Records show that Jean-Baptiste produced in 1757, Marie-Louis in 1786, Louis in 1819, Eugene in 1850, Camille in 1877, Pol in 1905 and Jean in 1931. Each generation has added several small parcels of vineyards, giving them additional material with which to blend. Eric's son Mickaël is patiently waiting his turn in line. In total, Eric cultivates 16 hectares of vineyards, divided between 55% Pinot Noir and 45% Chardonnay. Pinot Noir gives full-bodied structure and a dense fruitiness, the masculine side of a wine. Chardonnay is more lively, more nervous and more floral. It provides delicacy and a feminine counterpart to Pinot. About 70% of Rodez Champagne is fermented and aged in oak. Malolactic fermentation is generally blocked to retain acidity. Eric worked at Krug for several years. It was at Krug that he really developed his passion for blending. 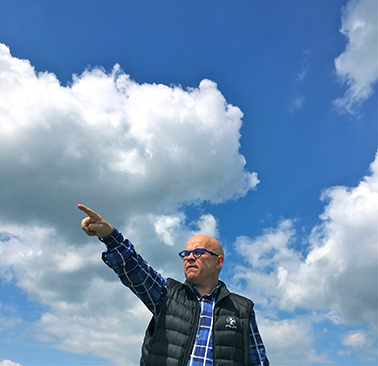 While many Champagnes are mostly from one year with perhaps a small amount of the previous vintage or two blended in, Rodez relies heavily on reserve wines (wines not from the current vintage) and often blends anywhere from five to ten different vintages in his final cuvées. For Eric, this is the most secret and individualistic part of his work. As he says: "It is a real pleasure to stand in front of a wide range of samples from a current year to which we'll add numerous wines from previous years. It's the creation of something new, like putting musical notes down on paper. And you're never sure where the melody will go. "You try to direct it but it's like walking up a circular staircase without knowing where it will lead," he adds. "I find that incredibly exciting." Rodez Champagnes are excellent. They are rich yet elegant, vinous yet complex, and delicious in every sense of the word. In addition, with components from wines going back sometimes a decade, they are also tremendous values! The vineyards are worked in a traditional way, just like Eric's grandparents once worked the soils. He hesitates to use the word organic, because he is not certified. But as a grower, he uses no pesticides, fertilizers or synthetic sprays on his plants. He plows his soils and limits his yields through careful pruning. This brut Champagne is made with a blend of 50% Pinot Noir and 50% Chardonnay. With 40% to 45% reserve wines used in the blend. Pinot Noir brings body and structure, Chardonnay conveys delicacy and elegance. Tasting Notes: The nose is floral with a hint of citrus fruits. The palate is balanced and dense. Brut Champagne produced exclusively from several different harvests of Chardonnay. In fact, this cuvée normally sees five or six different vintages in order to ensure the same delicacy between years. Tasting Notes: Very flowery and delicate, and much more sensual than Champagnes made with strictly high percentages of Pinot Noir. Brut Champagne produced from the outstanding 2002 vintage. Its delicacy may be compared to that of the Cuvée des Crayères because the proportions in the blending of the Chardonnay and the Pinot Noir are the same (50%-50%), but it is clearly more complex, offering much better length. Tasting Notes: Made from vines grown in the middle of the hillside, it reveals the complexity of its origins, with hints of ripe pear and touches of recently cut hay. The vinous palate, full and fresh, is remarkably well-balanced.